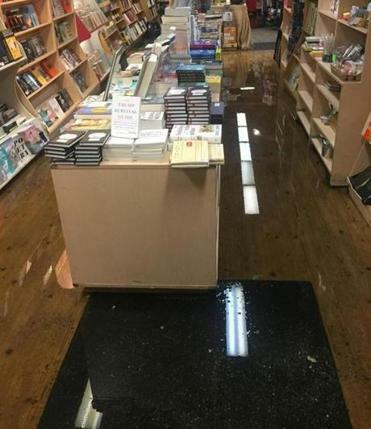 One of the city’s liveliest literary establishments, Trident Booksellers and Café on Newbury Street, will be closed until further notice after a fire late Wednesday night. 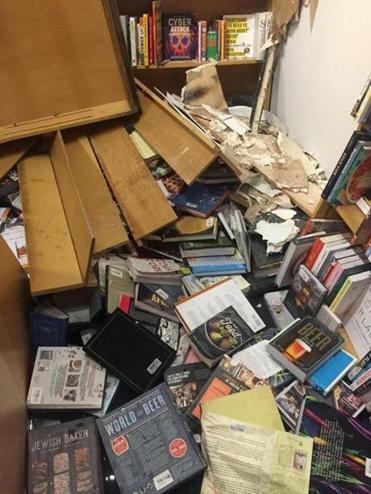 Courtney Flynn, bookstore manager, said that the fire broke out in the dry storage area on the second floor about 11:45 p.m. Everyone in the store was evacuated, and firefighters responded quickly to the scene. The cause of the fire has not yet been determined, she said. Most of the damage was caused by water from the sprinkler systems. Besides serving as a bookstore, the Trident has a cafe at that serves breakfast, lunch, and dinner, and the Back Bay store, which was been open since 1984, hosts events virtually every weekday evening.